Native to parts of Europe and Asia, sainfoin is a perennial legume which produces very palatable, nutritious hay and forage. 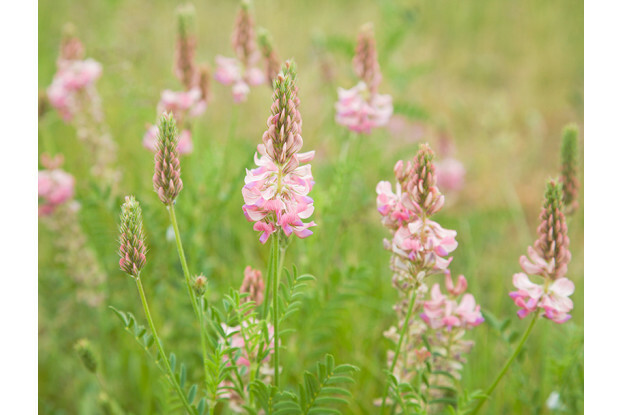 Unlike other legumes, sainfoin carries no bloat risk when used as primary forage for grazing animals. It’s very drought tolerant and can be grown without irrigation in areas receiving at least 12 inches of annual rainfall. Grows up to four feet tall and produces showy pink flowers. Important to honey bees and produces the highest quality honey. It requires well-drained, calcareous soils.